Visiting V-Bar-V Heritage Site and Jerome State Historic Park will get you outdoors. Riordan Mansion State Historic Park and Amitabha Stupa & Peace Park will appeal to history buffs. Get out of town with these interesting Sedona side-trips: Montezuma Well (in Rimrock) and Prescott (Lynx Lake Recreation Area, Whiskey Row, & more). There's much more to do: hike along Doe Mountain Trail, wander the streets of Historic Old Town Cottonwood, look for gifts at Trailhead Tea, and delve into the distant past at Palatki Ruins. For other places to visit, photos, maps, and more tourist information, you can read our Sedona driving holiday planner . Denver to Sedona is an approximately 3.5-hour combination of train, flight, and taxi. You can also do a combination of train, flight, taxi, and bus; or drive. Plan for somewhat warmer temperatures traveling from Denver in November, with highs in Sedona at 64°F and lows at 45°F. Cap off your sightseeing on the 12th (Mon) early enough to go by car to Phoenix. Phoenix is the capital and most populous city of the U.S. 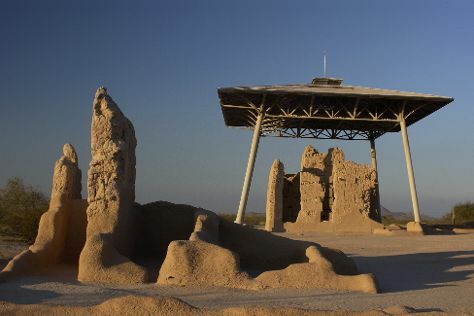 Discover out-of-the-way places like Casa Grande Ruins National Monument and River Rafting & Tubing. Get in touch with nature at Boyce Thompson Arboretum and Hole in the Rock. Step out of Phoenix with an excursion to Queen Creek Olive Mill in Queen Creek--about 52 minutes away. The adventure continues: admire the masterpieces at Phoenix Art Museum, test your problem-solving skills at popular escape rooms, and do a tasting at Aridus Wine Company. To see traveler tips, other places to visit, and tourist information, refer to the Phoenix day trip planning website . You can drive from Sedona to Phoenix in 2.5 hours. Alternatively, you can do a combination of taxi and flight; or take a shuttle. Traveling from Sedona in November, expect Phoenix to be a bit warmer, temps between 78°F and 55°F. Finish your sightseeing early on the 15th (Thu) to allow enough time to travel back home.